The Main Board of the CFU have formally reinstated the Operations Board. Initial meetings recommenced in April 2018. 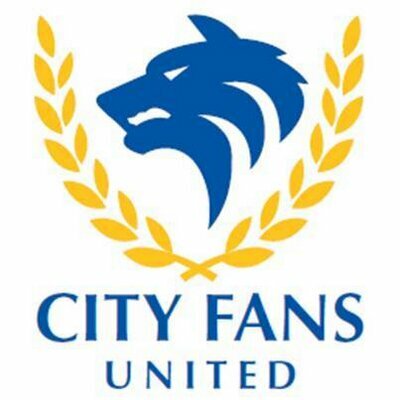 A decision was taken to suspend the Ops Board in January following the revelations of the financial crisis which saw the main City Fans United board meeting more frequently in order effectively manage the situation. At the time of January’s crisis, the Football Working Group (FWG) was formed. This group made recommendations to the CFU board on football matters. These included the implementation of a number of cost saving measures as the club stabilised its financial position. With the Operations Board now reinstated, the FWG has been disbanded having brought the club back to a much sounder financial footing. The role of the Operations Board is to take on the day-to-day running of the football club and make recommendations to the full board as mandated by the CFU constitution. The decision was agreed at the CFU board meeting on Thursday night that, going forwards, the Operational board would formally be making all decisions on the day-to-day running of the football club and all things relating to the administration of the first team. CFU director Andrew Morris will Chair the Operations Board and will be joined by Alan Case, Ian Swettenham, Ron Smith alongside CFU directors Mike Day, Calvin Hughes and David Williams. A new working group to handle matters relating to the Academy and the administration of the youth team has been set up. This will be led by Youth Director Mike Day, with significant input from Academy head coach Calum McIntyre, whose long-term future at the club has recently been confirmed.